Use Download Manager for Android to efficiently download and manage any type or size file. Overcomes most of the limitations of the default downloads, such as authentication, integrity checking, support for all file types and download life-cycle management. Version 3.0 includes a completely renewed modern user interface, allowing simple and efficient downloads. Q: How do I resume a broken download? A: If a download is interrupted, the state is changed to error, but any downloaded bytes so far will remain. Click on the URL, and select Resume Download to continue where you left off. Q: I still can't seem to resume broken downloads, seems that they start all over? A: There could be a few reasons; the bytes weren't actually stored (in some cases where range requests are not supported) or the remote file size changed in between (in which case the app doesn't really know what to do, but start over). Q: All of my downloads stop when the app closes, isn't background downloading supported? A: Downloads will continue in the background (for example if the Home button is pressed or another app is placed on top). However, if the app is exited (for example if the Back button is pressed), all downloads will automatically be paused, but the state will be retained, and downloads can be resumed after starting the app again. Q: Is there any help available? A: For now, it is this page or email, but in the next release we will include a link to a HTML based help site. Q: I can't download Youtube videos, what's up with that? A: Although technically this would be easy (detect the download URLs and save the streams), it is prohibited by the end user policy. Q: A previous version had localisation to spanish, french, etc., but they're gone now? A: Version 3.0 included a totally new user interface, which unfortunately impacted text resources quite heavily also. We will however add support for most popular languages in future minor releases. Q: The app displays ads. Is there for example a paid version to remove these? A: This is correct. However, we won't push ads, but only display an unobtrusive small banner. To be honest, users haven't reported concerns about this, but we could consider some kind of model for a version without ads. MiHome Launcher ( a.k.a. 小米桌面 ) can make your Android phone easy to use and super fast! It is a major feature of MIUI, which is one of the most popular Android ROMs in the world. Now you can get these excellent experience by installing MiHome Launcher on your phone! We ensure you will love this video player after using it.If you are pursuing a video player with the better user experience and user interface，Mobo Video Player Pro will be your ultimate choice. 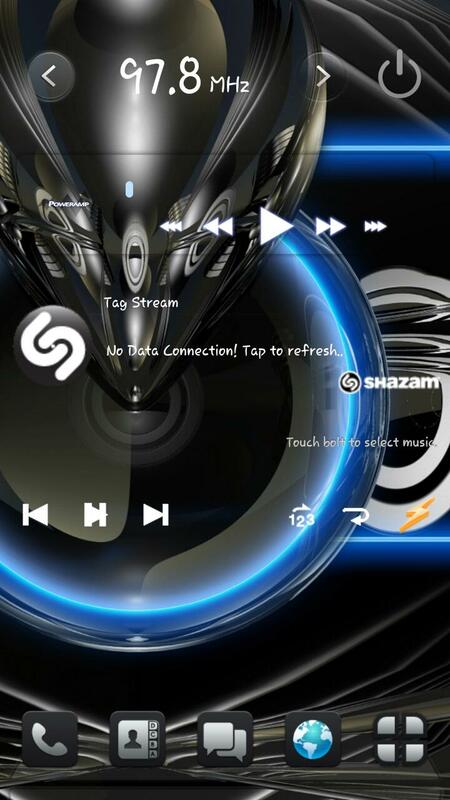 * [Music] Control: background playback, prev/next, pause/resume, seek, playlist, equalizer(ICS), etc. * [Photo] Tools include Edit(ICS), Delete, Rotate, Crop etc. * [Photo] Share via Email, Facebook, Twitter etc. * [Video] Control: prev/next, pause/resume, seek etc. * [Video] Tools include Delete, Share etc. 1.Q: Why can't I find my songs in Ringtone Maker Pro? A: Please make sure your SD card mounted correctly and you have audios in your SD card. If your audio still won't show, use "Menu"->"Refresh List", the device's Media scanner then will find songs for you. But it depends on your device and it may take time. 2. Q: Where does the app save my edited ringtones? 3. Q: What are the best durations for ringtone, notification and alarm? A: For ringtone, 30s would be best. For notification, 6s would be best. For alarm, well, no duration is best for everybody, but longer is better. 1. WRITE_EXTERNAL_STORAGE: to store your editted tones. We win massive praise from users! “Smart Optimization Box” will give you more benefit along with its optimization function. It can prolong standby time by starting Eco mode and brightness control; its prefect system management can help your smart phone speedup; it can clear cache files and histories in the device. In addition, you can enjoy one-click optimization on your home screen by tapping the Widget! All related function considered in the helpful app “Smart Optimization Box” – optimization is simple! ※Installation of a widget cannot be performed when this application is moved to SD card. ★★★★★Excellent on htc evo,must have. Really like this app, its a gotta have app. ■When the various communication permissions can be used? Many more features are coming soon - please support this app if you want to see camera, file browser, games, calculator and other functions added more quickly! If you have any requests please get in touch. There are so many cool updates coming, please stick with this app! Greatly improved compatibility (hopefully!). Please let me know if you have any problems. Overview: Memory Booster - Android RAM Optimizer to Speed Up Your Smartphone! Now Memory Booster fully supports honeycomb (android 3.x) tablets! 01. NEW generation UCam UX. 02. NEW beautification & Makeup feature. 03. NEW QR Code feature. Overview: Print from your device directly via WiFi or Bluetooth without a computer. • Google Play Magazines data exclusion (default:enabled). • New permissions to save backups on ext. media on some 3.0+ devices (no guarantees; may require TB installed as sys app). • Option to prevent batch backup crash on broken ROM (eg: Huawei Ascend G300). See Prefs->Troubleshooting. • Fixed SMS/MMS ordering after XML restore on some ROMs. • Fixed SMS/MMS XML backup failure if invalid recipients exist. • Fixed FC on launch on some "no name" devices. DO NOT PAY FOR MY KERNELS IF NOT "DONATION". TRY FREE VERSION FRIST ON YOUR CUSTOM KERNELS! Do not use cpu scaling and cpu profile in every apps related to cpu. It's controlled by Samsung android frameworks, so it makes your system down.